Starting next year, more than 10 million Filipinos worldwide may start to benefit or transact with the new Overseas Filipino Bank (OFB). Department of Labor and Employment (DOLE) Secretary Silvestre Bello confirmed the news, after President Rodrigo Duterte signed Executive Order 44 on Sept. 28, approving the Land Bank of the Philippines' acquisition of Philippine Postal Savings Bank, and convert it into the OFB. Bello said the OFB aims to bring down remittance cost of overseas Filipinos since the new bak is created for them. "The intention, at least, it will be a cheaper remittance fee," Bello said. On the other hand, the Bangko Sentral ng Pilipinas (BSP) will work to fasten the establishment of the government-owned Overseas Filipino Bank or OFW Bank, according to BSP Governor Nestor A. Espenilla Jr. This bank will be used as a lender for OFWs. 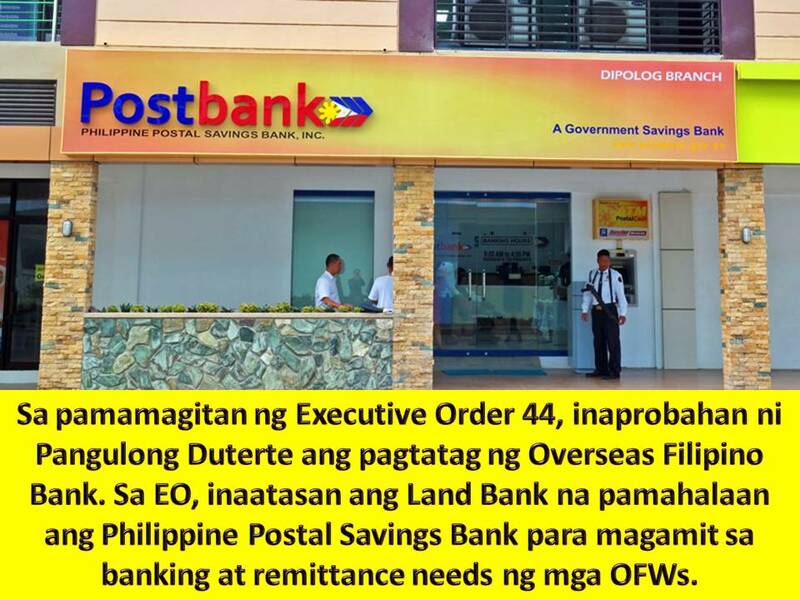 Under the EO, the Philippine Postal Corporation, which owns Postbank, and the Bureau of Treasury were directed to transfer their Postbank shares to Land Bank at zero value. On the other hand, the Land Bank was ordered to infuse capital to Overseas Filipino Bank. 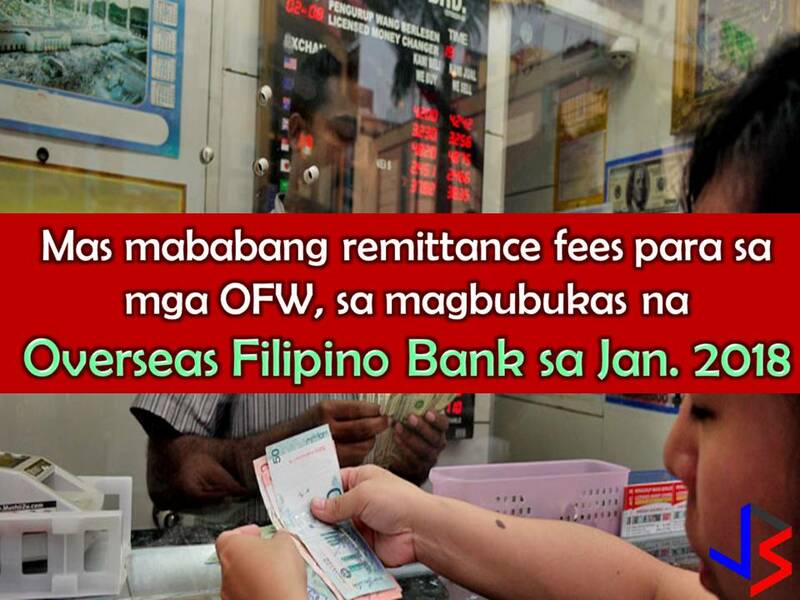 Read: OFW Bank to Offer Zero-Interest Loans to OFWs? Land Bank's chairperson will serve as head of the 9-member board of directors of the new lender. The EO also called for an early retirement incentive plan for all Postbank officers who will be affected by the acquisition. The Department of Labor and Employment (DOLE) said earlier that OFW Bank will ease the lives of OFWs that will cater their remittance and other banking needs. This will benefit all Filipino Migrant Worker all over the world.